Canadians Selling or Buying a U.S. property will get asked by their real estate agent or Lawyer to get a U.S. Apostille for documents related to the closing. What does this mean? Good question and one that is coming up more often with the change in the Loonie to US$. Only five years ago the Loonie was at par with the U.S. dollar and slumping housing markets provided a great opportunity for Canadian snowbirds to get a good deal on purchasing their warm winter get away. As the U.S. housing market has recovered those properties have now gained in value and in some cases 25-50% from the initial purchase price. Add that with the rising US$ and it provides an opportunity for some to cash in. I need a Canadian Apostille To Sell My U.S Property – How Do I Get One? Since the United States is the number one choice for Canadian’s buying a foreign property the requirement to have property documents validated is key to securing or selling a property. The growing number of Snowbirds vacationing south over the years has established large Canadian retirement communities in Florida, Arizona, Texas and California. When Canadians are buying or selling a U.S. property some of the common documents that are required are a Purchase and Sale Agreement, Property Deed, Mortgage, Time Share Agreement Contract, Power of Attorney to name a few but we process all kinds of property documents ask us about yours. As part of the purchase or sale process you will be asked, by the U.S. professionals who are assisting you, to have all documents validated by an Apostille Certificate in Canada. This process for validating a document comes from the U.S. signing the Hague Apostille Certificate agreement which Canada has not signed. So if Canada has not signed the Hague Apostille Convention and does not provide Apostille Canada Certificates what do you do? We have the answer that will meet the requirements and will allow your property documents to be accepted as the equivalent to a U.S. Apostille Certificate Seal. The equivalent process in Canada is what is called authentication and legalization of a document. The first step starts with the authentication of documents at Global Affairs Canada located here in Ottawa. To qualify for document authentication at Global Affairs Canada your documents need to be first notarized by a Canadian lawyer. You may already have a Lawyer who you have worked with in the past who can help you with this or as an alternative most Lawyers practicing Property Law in your local area should be able to assist you. You will need to meet with them, bring your Passport and the property documents, whereby they will swear the documents putting their signature and stamp on each. Now that your documents have been notarized they are ready to be presented to Global Affairs Canada. Upon reviewing the notary signature and confirming it in their registry they will then affix their signature and stamp. If you are not able to attend in person for authentication the normal processing time is 25 business days. As property closures have tight time lines most of our clients find using our 1, 3 or 10 business day document authentication services helps them to not miss their important closing date. Once we have authenticated your property documents they are now ready for the second step of Legalization at the U.S. Consulate here in Ottawa. Although we call this step legalization the U.S. Consulate may refer to the service as authentication of signature. Once the consulate has reviewed the documents and signature of Global Affairs Canada they attach an authentication certificate to the front of the document. Now that you have completed the two step process your property documents will be accepted as being valid in the United States for the purchase or sale of your property. 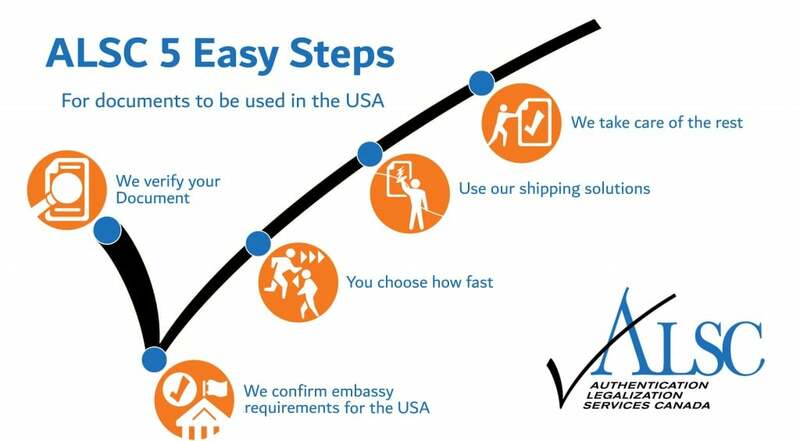 Now we can return them back to you or anywhere in the United States they need to go using one of our document shipping made easy solutions or using your preferred delivery method. If you are thinking about becoming a snowbird and heading south you may want to visit the Canadian Snowbird Association as the voice of traveling Canadians they offer a great resource centre to find out more. Selling or Buying a property in the United States can be difficult especially navigating all the document red tape. Make sure you get it right and hire an expert contact Authentication Legalization Services Canada for assistance with the U.S. Apostille Certification of your property documents.